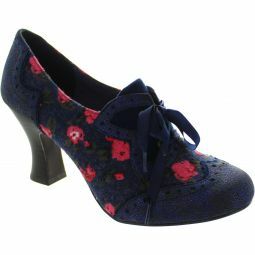 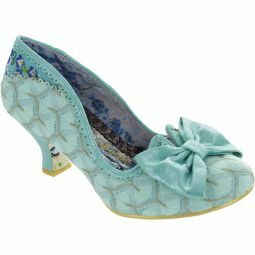 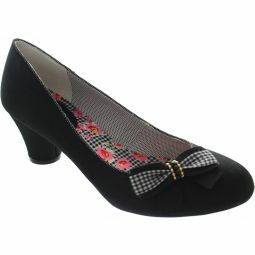 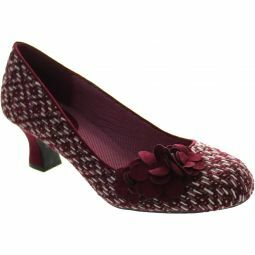 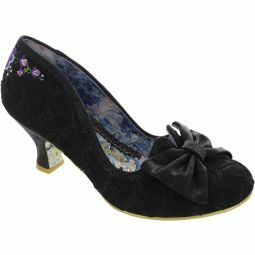 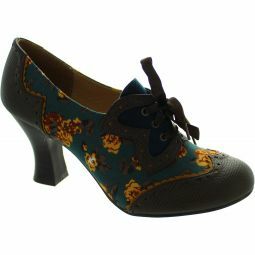 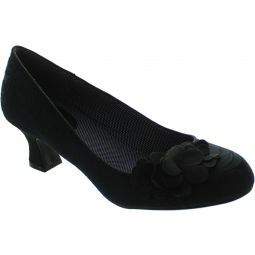 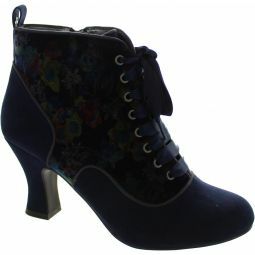 Pretty medieval-inspired styling and practical mid-height heel offer beauty and comfort. 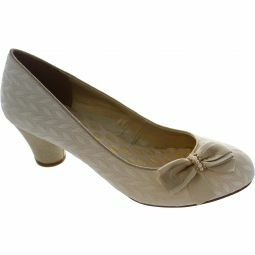 8cm (3 inch) high heels. 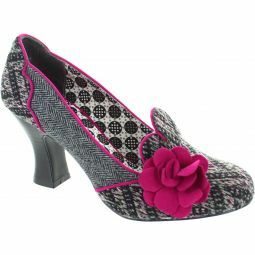 A cute spotted tweed is teamed with rich faux suede for a warm look to carry you into winter in style.